The La Troienne was Curalina’s first race since finishing third behind Stopchargingmaria (Tale of the Cat) and Stellar Wind (Curlin) in the Oct. 30 GI Breeders’ Cup Distaff. In addition to her Acorn victory, the Eclipse Thoroughbreds colorbearer was promoted to first when I’m a Chatterbox (Munnings) was disqualified in the July 26 GI Coaching Club American Oaks. She was third in the Aug. 22 GI Alabama S. and runner-up in the Sept. 26 GI Beldame Invitational. Friday, Churchill Downs LA TROIENNE S.-GI, $300,000, CD, 5-6, 4yo/up, f/m, 1 1/16m, 1:42.45, ft.
O-Eclipse Thoroughbred Partners; B-CASA Farms I, LLC (KY); T-Todd A. Pletcher; J-John R. Velazquez. $184,140. Lifetime Record: 9-5-2-2, $1,190,940. *1/2 to Dream Spinner (Hard Spun), GSP, $145,881. 2--Engaginglee, 118, m, 5, Fusaichi Pegasus--Lee Gage, by Fit to Fight. 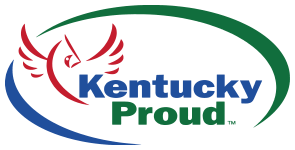 O/B-Paul A. Lichtefeld & Jack D. Stewart (KY); T-Dale L. Romans. $59,400. 3--Sheer Drama, 118, m, 6, Burning Roma--Riveting Drama, by Notebook. O/B-Harold L. Queen (FL); T-David Fawkes. $29,700. Margins: 7HF, HD, 1 3/4. Odds: 2.30, 20.20, 0.90. Also Ran: Angela Renee, Brooklynsway, Penwith. Scratched: Theogony.